The way we run our homes as a huge impact on both our life and the life surrounding us. Responsible energy use should be encouraged, and by using Polarwall, you could target the aim of living in a totally-energy free house. Energy use should be pegged to 15kW hours per square metre per year, with total energy consumption being capped at 120kW hour for all end users. Opaque fabric U-Values must be less than 0.15W/m2K. Openings must achieve 0.8 in terms of air management. 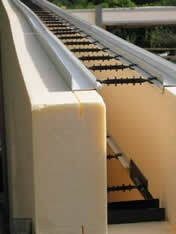 Polarwall makes the most of its insulation material by using XPS (extruded polystyrene). This has a better thermal performance than EPS insulation and therefore reduces the overall wall thickness, helping to increase the internal living area. The concrete structure also contributes to the overall performance by creating a fabric that reduces or even eliminates the passage of air. 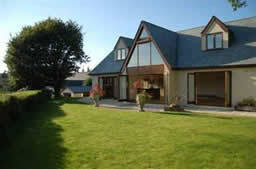 Using Polarwall as part of a number of other building materials will help to achieve your aims of a zero energy house. Depletion of natural resources and soaring energy costs make zero-energy houses an attractive proposition. However, the real benefits can be felt on the reduced impact your home will have on the environment. Roughly 90% of the environmental impact of our houses comes from the way we live, and not the materials we build out of. Reducing energy consumption can therefore play a significant part on the way we affect the earth and it’s resources. It is important to consider many aspects of the house design and in particular complimentary products to Polarwall when trying to construct a zero energy home. Attention should be paid to ventilation, using a heat recovery system to reduce humidity thus emitting moisture into the outside air. 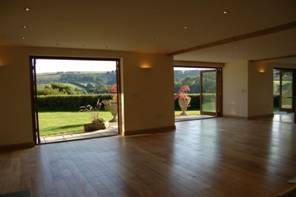 Using solid concrete floors and internal walls will help to contribute to the thermal mass and the insulation for the roof construction (such as SIPS panels) will need to match that of the walls. We are able to offer design services to provide the necessary guidance on your project.